Weird food in Italy - have you ever eaten something unusual? Have you ever eaten something unusual while on a travel? Fried snakes, baked rats, browned maggots, grilled locusts, stewed squirrels, boiled sharks, live frogs. This is just a little part of the oddities you can taste all over the planet. I promise, you won’t find anything like that in our country. However, there is something you would probably consider strange. Let’s see where you can find weird food in Italy. Italy is worldwide famous for its cuisine. Traveling the Boot you will find one of the best culinary art of the world. Our regional food come out from centuries-old traditional recipes. And both grandmas and professional restaurant owners together with brave chef keep handing down the secrets of our special courses from one generation to another. Try to find authentic Italian regional food if you want to get the highest satisfaction for your palate…and also the best surprises. You can taste snails and frogs in our country, but these dishes nowadays are already considered delicatessen in other areas. We want to go a little bit beyond. After all, talking about cooking, if you don’t experience you’ll never know! We did not select just Italian weirdest food. We have picked those best-loved by people. Everyday young and not so young people eat these delicacies, often cheap. Frequently presented as “street food”, you can also easily find them in restaurants or Italian trattorias. 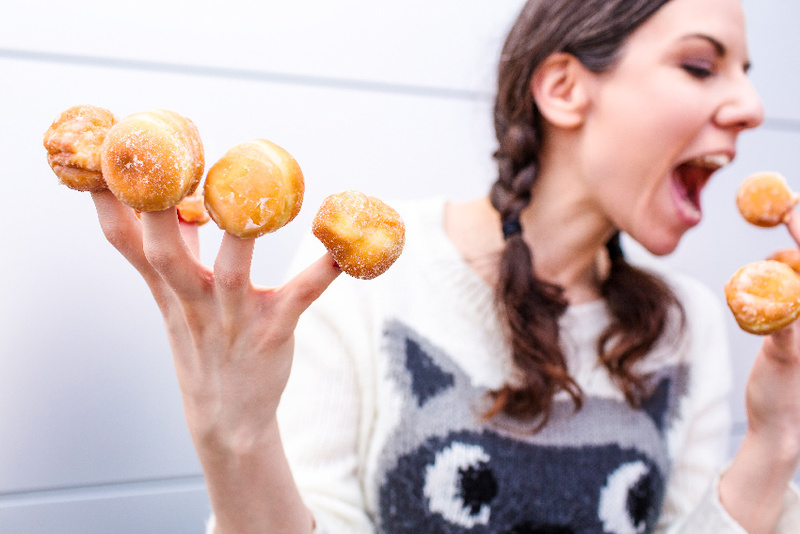 Remember, you don’t need good table manners now! 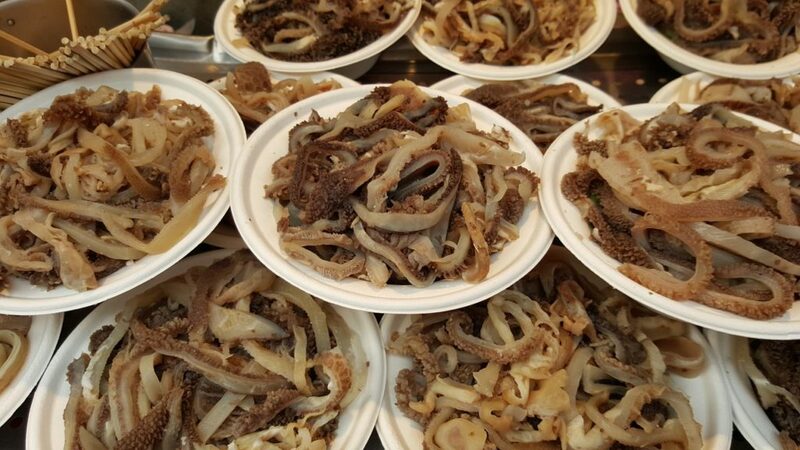 You can eat a good dish of tripe all over Italy. Every region has its recipe and maybe it is the most frequently eaten oddity of our list. In fact you can easily find recipes from all over the Italian peninsula: trippa alla milanese, trippa alla fiorentina, trippa alla romana, trippa alla parmigiana, etc. What are we talking about? Trippa is cattle’s stomach and it’s cooked with tomato sauce, with beans, with potatoes, as a stew or simply as a salad dressed with salt and lemon juice (the last one is an old classic street food in Naples). So tasty! If you want to eat the real pajata, go to Rome. 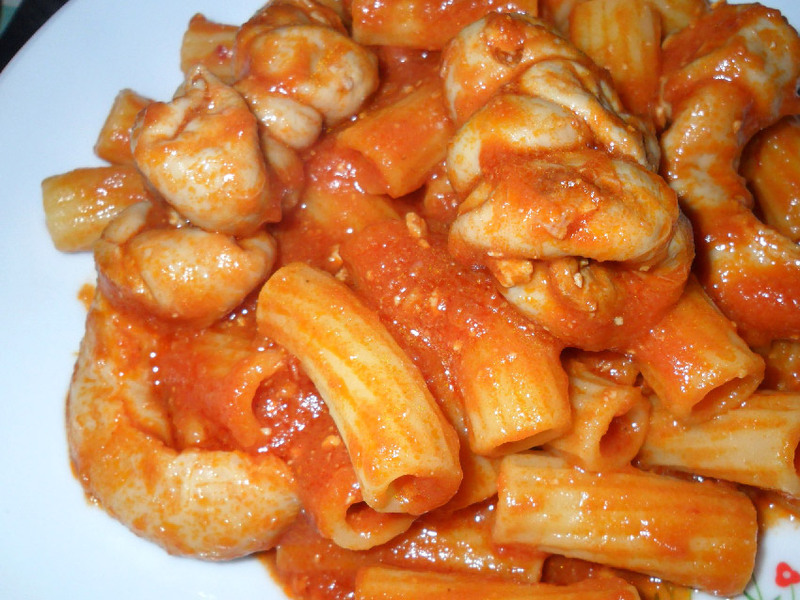 In the photo you can see a dish showing Rigatoni (elbow macaroni) with pajata. The pajata is an ancient classic of the Roman cuisine and the name stands for “intestines of a calf only fed on its mother’s milk”. When you cook pajata, the chyme in the intestines coagulates and becomes a creamy, cheesy, very good sauce. Pajata is often stewed in a typical tomato sauce and served with pasta. Not for everyone, but if you want to taste weird food in Italy this is a good starting point. Veal’s lung and spleen fried in lard but only after being boiled. Served with grated caciocavallo cheese and sometimes with ricotta soft cheese. 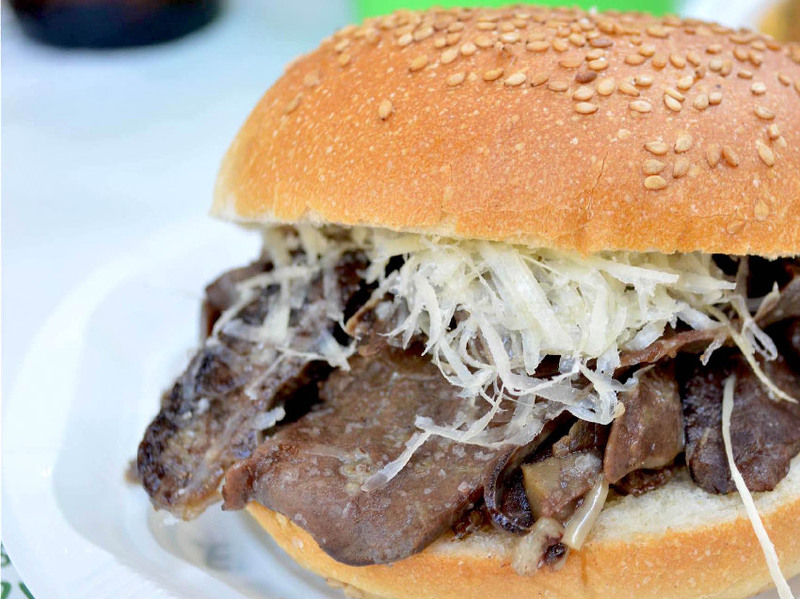 Everything is stuffed in a sesame bun and you can try this typical dish in Palermo, Sicily. This is real street food and even now it is frequently eaten in the street. Just one of the many culinary reasons to plan a trip in a multifaceted, amazing island. Tuscany is in! Lampredotto is trippa’s counterpart. It’s one of the four cow’s stomach and is a traditional dish of one of the best region to taste Italian flavors. Some of the most famous wine of the country are from Tuscany and you will also be spoiled for choice when hungry. 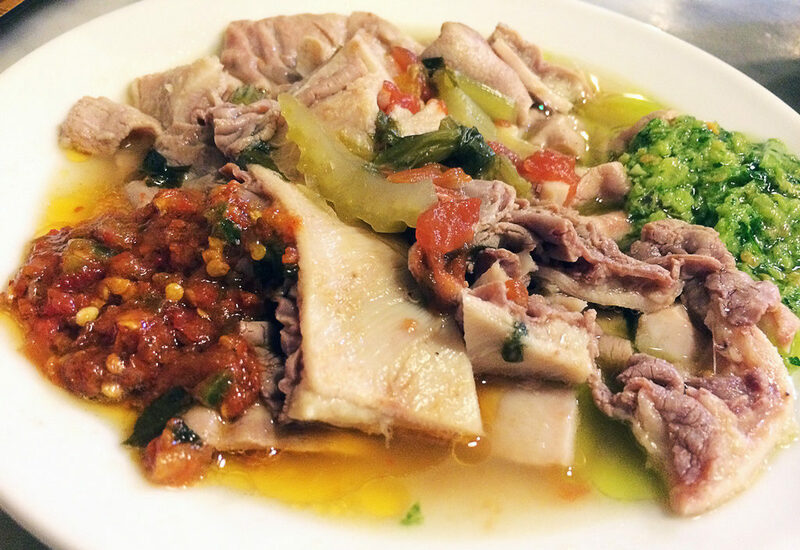 Lampredotto is often served with a sandwich flavored with parsley and olive oil sauce or as a stew and filled with vegetables. Very popular in Florence, it’s perfect if you are in a hurry and do not want to miss all the unforgettable attractions of the city that gave birth to Dante Alighieri. Maybe we should have given another title this article. 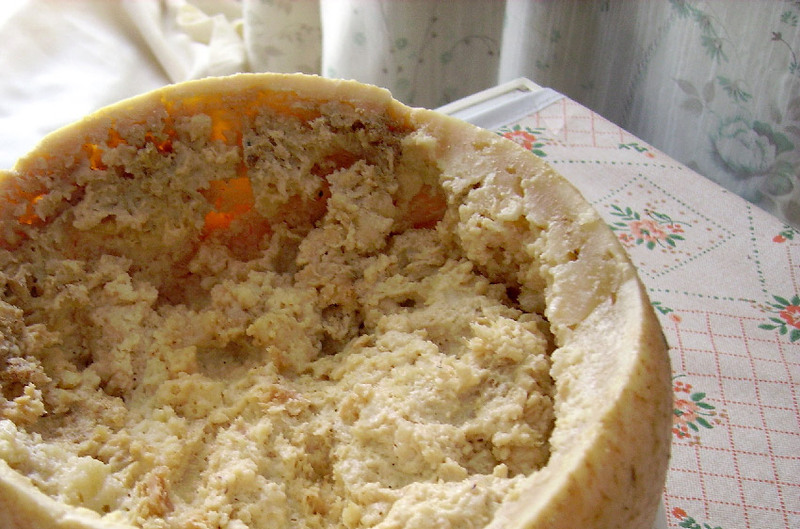 After tasting this weird food in Italy your gastronomic life will not be the same. Try them once, and you can never go back.